The best thing about the end of summer may be …. Oxtober Bier! In the tasting room starting September 2nd! Our Oxtober Bier is brewed in the German tradition (why would you mess with what has been working for a couple of centuries?). Bavarians brewed Marzenbier or Oktoberfest beers in March, stored the casks in caves over the summer and served it up in the fall to celebrate the harvest. Primarily Vienna malts, the Old Ox version includes Hallertau and Mittlefruh hops. This bronze beauty took its time fermenting (six weeks in the tank) at a cool 50 degrees … and so worth the wait! 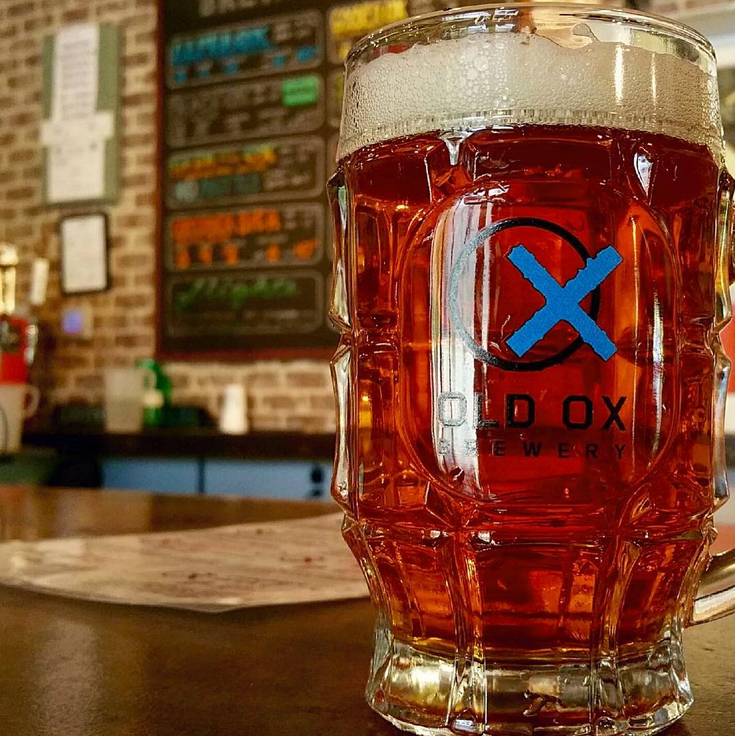 To celebrate we’re offering the first 100 people to show up these fetching steins filled with delicious Oxtober Bier for $15!